Insulin can be used as an antidote for certain types of drug overdoses. Mercury poisoning may cause affected individuals to sweat excessively. An antidote is something that specifically stops the effects of a poison. Most poisons actually have no antidote. That does not mean that no antidote exists, but rather that we simply have not discovered one that works. Fortunately, many of the most serious poisons that people are most likely to come into contact with typically have an antidote available. Even in the cases of poisoning where no antidote can be used, there are sometimes treatments such as hydration and general medical care that may help a poisoned patient survive. Poisons are toxins that can be naturally occurring; man-made; or animal based, such as viper or spider venom. One naturally occurring poison for which there is no antidote is ricin, a substance found in the beans that are used to make castor oil. Ingesting castor oil may be safe, but eating the castor beans that produce the oil can cause ricin poisoning. Ricin is most likely to cause death if inhaled or ingested. Supportive medical care can sometimes save a person exposed to ricin, but that is considered a treatment rather than an antidote. Mercury is a heavy metal that can cause severe illness, damage and death. Poisoning from mercury can sometimes be treated with lots of fluids and having the patient ingest activated charcoal, but those are not antidotes; they may be helpful treatments, but often are not. The damage caused by the poisoning, which can sometimes include blindness or organ damage rather than death, is typically permanent. Many different animals, amphibians and reptiles use poisons to protect themselves from predators or use venom to kill prey. These toxins are often highly poisonous and sometimes potentially fatal to humans as well. Rattlesnakes and black widow spiders are two examples of poisonous creatures for which antidotes, fortunately, exist since they are fairly common in many populated areas. The puffer fish and the blue-ringed octopus, however, are two examples of highly poisonous creatures in the wild for which there is no antidote. It is believed that there less than 50 different types of antidotes available, which is a number far lower than the number of toxins to which a person might be exposed. These antidotes, however, often work against several different types of poisons, rather than just one. Antidotes are typically either natural substances or man-made drugs. In some cases, a drug that is used to treat common illnesses can be used in different amounts to counteract a poison. 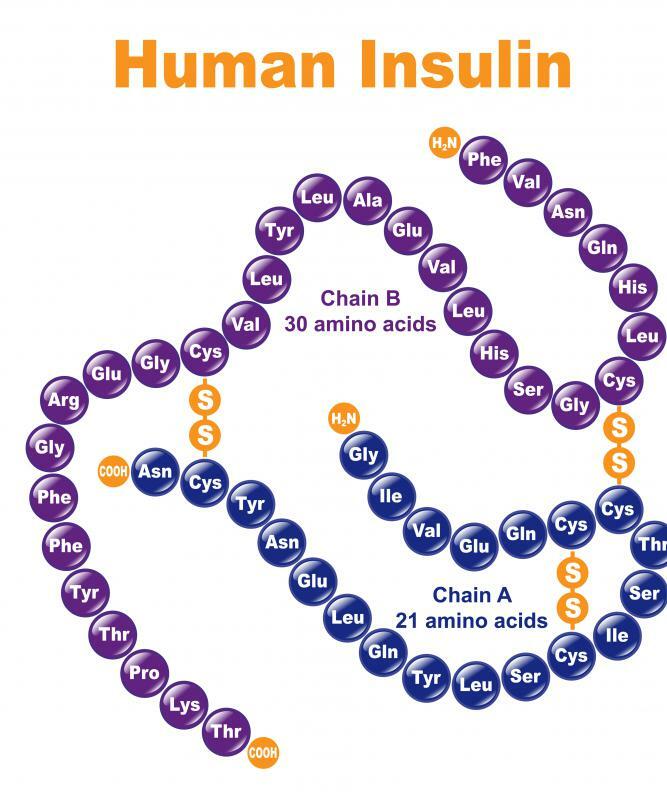 One example is insulin, which is a drug commonly used to treat diabetes but that can also be used as an antidote for certain types of drug overdoses. What Are the Different Antidotes for Digitalis? What Are the Different Cyanide Antidotes? What are the Best Tips for Snake Bite First Aid? I have heard from a documentary recently that some poisons can be 'worked through' by breathing a victim as with, I believe was the case with puffer and blue ring venoms, though I could be mistaken. Also it seems that from the program I saw, that a lot of the venoms can be lessened or have the proteins that cause the effect neutralized with hot water, as hot as you can take it, or as hot as a supervising person can allow, (as one of the poisons caused pain greater that the sensation of boiling water). The program I base this on is from something currently online called 72 Dangerous Animals: Australia. @Mor - Calling for help is a good idea, but the best thing is to make sure no one gets poisoned in the first place. I always think it's so tragic when I hear about people accidentally killing themselves or others by cooking the wrong thing. Mushrooms can be extremely dangerous, for example, if you don't know how to identify them properly. There is no antidote to death caps and they look somewhat similar to field mushrooms. @Fa5t3r - The very first thing anyone should do if they suspect poison is call an emergency number, either poison control (which is often listed on household chemicals) or emergency services. In a lot of cases permanent damage could have been done by the time you get someone to the doctor, especially if they are a child. And people will often instinctively do the wrong thing. It's not always a good idea to try and make the person throw up, for example, as some chemicals will do more damage to the throat than the stomach (which, after all, is designed to contain acid). Or there might be a simple way to postpone bad effects, like drinking milk. idea to call them if you aren't sure. I remember when my little sister accidentally swallowed a battery as a kid and my parents weren't sure whether they should be panicking or not. They called the poison center and were told what to do. But she could have died if they didn't because apparently symptoms from that don't always show up until it's too late. Just remember that the antidote for one poison might not work for another. You wouldn't want to use insulin as an antidote unless a doctor prescribed it, for example, because too much insulin can kill you as well. The human body is a complex machine and what works on paper might not necessarily work for you in real life. The best thing to do if you think someone has been poisoned is to get them to a hospital straight away.